Make dad a very special recipe for dinner this Father's Day with a little inspiration from the dishes below. Whether he loves to eat chicken, ribs or a big juicy burger, there are some seriously manly meals in the list below. 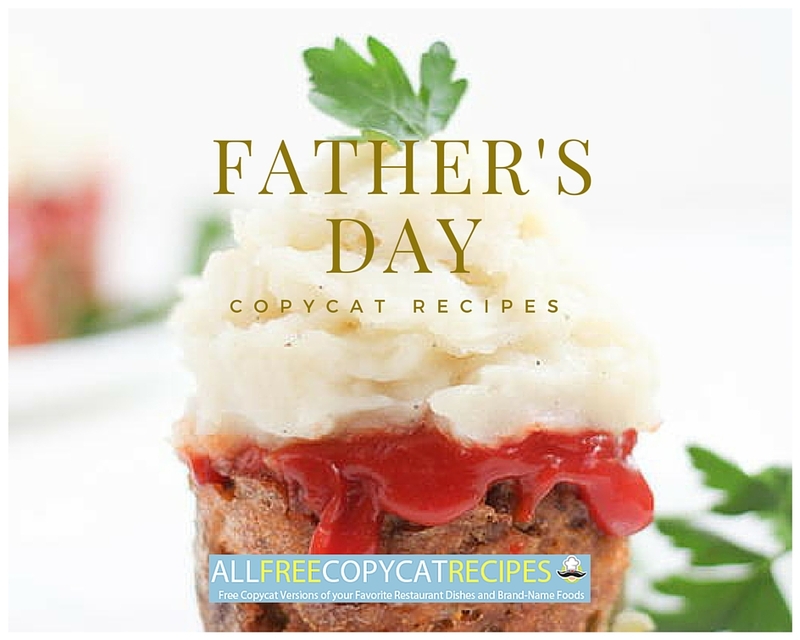 Get grilling for the 1 guy in your life and make one of these easy copycat recipes especially for him this Father's Day and all year round! Got a dad who's all about health? 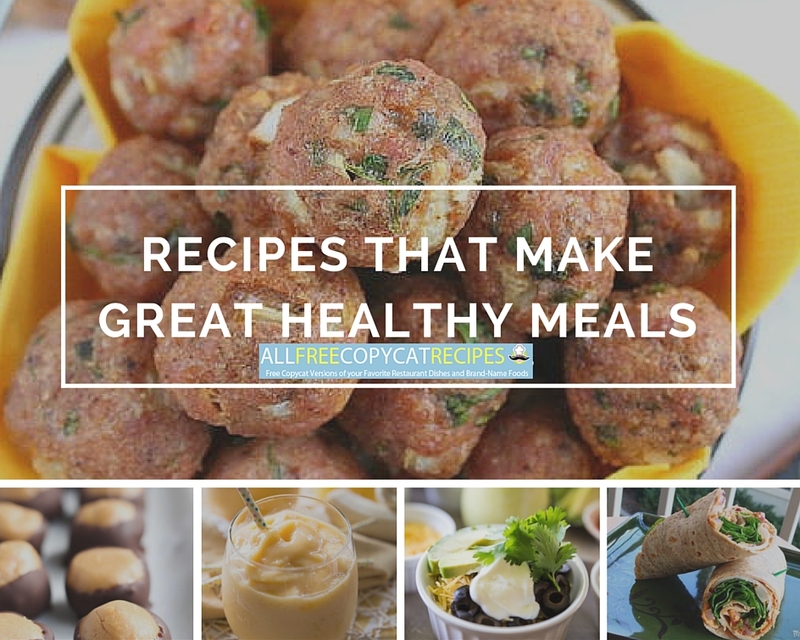 Fortunately, we've found 22 Secret Restaurant Recipes That Make Great Healthy Meals for you and your family to enjoy. 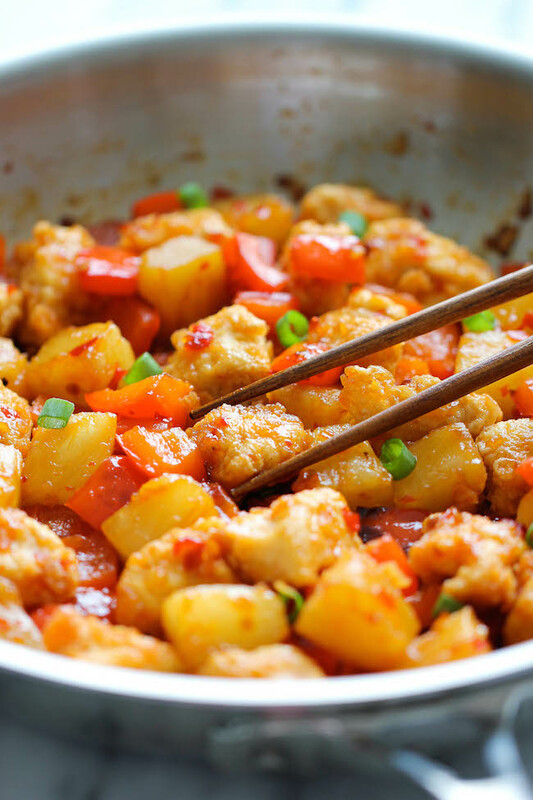 Panda Express Sweet Fire Chicken Copycat Recipe - You don't need to take dad out when he gets the craving for restaurant recipes like Panda Express. Bacon Cheeseburger Chicken - Dad will go crazy for this copycat dinner dish. Bacon Cheeseburger Chicken is an entree that packs a ton of flavor with using just a few ingredients. Restaurant Style Fancy Pork Medallions Made Simple - Try this new way to use a pork tenderloin in a way he'll never expect! Copycat In-N-Out Double Double Animal Style Cheeseburger - If you're far away from the West coast or are just looking to recreate a great recipe at home, be sure to check out this recipe for Copycat In-N-Out Double Double Animal Style Cheeseburger. "Animal Style" just means that the burger is cooked in ketchup and "special sauce". 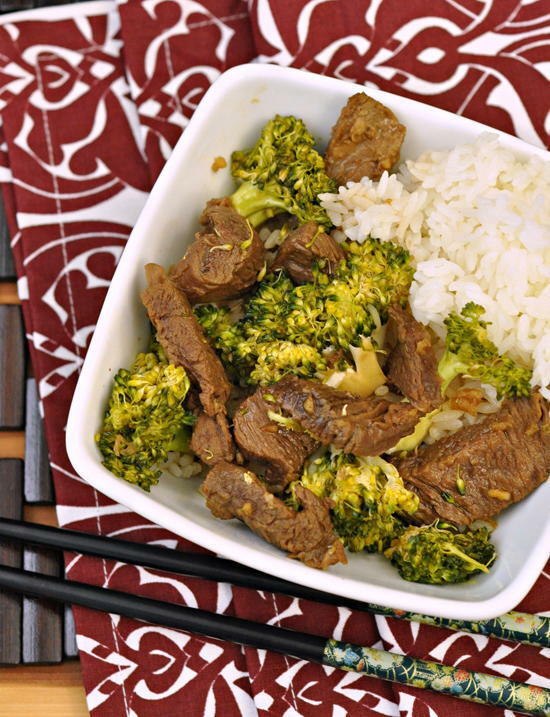 Slow Cooker Beef & Broccoli - Skip the take-out and enjoy this better-for-your-man Slow Cooker Beef & Broccoli. Copycat Jucy Lucy Burgers - Have you heard of the latest burger trend? Jucy Lucy burgers are sure to be all the rage this summer. It's a meal the man in your life will love. Amazing Copycat Buca di Beppo Chicken Saltimbocca - Make Father's Day memorable with a unique meal he'll never forget! 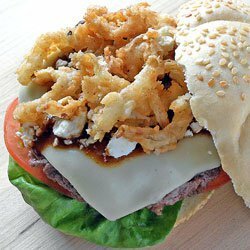 Copycat Steakhouse Burgers - This burger is piled high with fabulous fixings like onion rings, bacon, mushrooms and more. For a meal that is guaranteed to satisfy, give this burger a try. Gluten Free Easy Meatloaf Muffins - This Gluten Free Meatloaf Muffins recipe is the easiest way to serve this classic delicious dish for Father's Day. Steakhouse ThickBurger Copycat - This burger is some serious man food. Have you been to Hardee's before? They are home to a mega ThickBurger that isn't for the faint of heart. If you are looking for the ultimate burger to make for the man in your life, you can't go wrong with this Steakhouse ThickBurger copycat. Taco Burgers - If you could make up your dream burger recipe, what would it be? This awesome dinner idea for Taco Burgers is our pick. It's a great way to combine Mexican-inspired flavors your love with a classic burger. Meat Lover's Italian Pizza - You'll be like a real chef when you put together this simple yet fantastic looking recipe. Turn game day upside down with this totally loaded pizza pie. Tony Roma's BBQ Babyback Ribs - This easy rib recipe is right off the Tony Roma menu, and a great way to make falling-off-the-bone tender ribs for your next dinner. Simple summer recipes like this are great ways to get your entire family around the table. 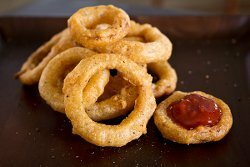 Double Crunch Onion Rings - The mixture of salty and sweet flavors are something Dad will dream about. Start any meal off with a bang when you cook up this simple and addictive recipe for summer. Limited budget this Father's Day? 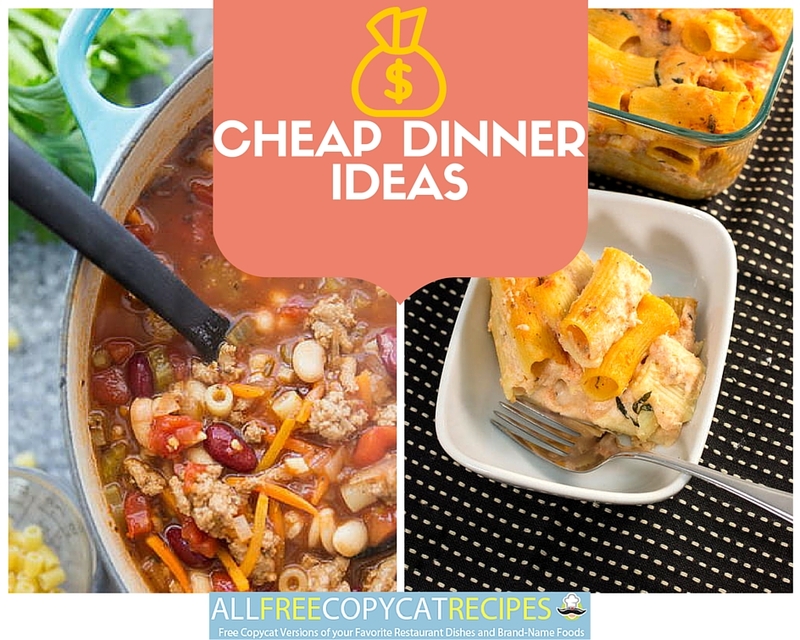 Fortunately, this article of 21 Budget-Friendly Recipes: Cheap Dinner Ideas for the Thrifty Chef is filled to the brim with cheap recipes that you won't have to feel guilty about making. Chubby Hubby Cookie Bars - Now, we're not calling anyone's hubby chubby. But he's sure to fall in love with this sensational combination inspired by the famous Ben & Jerry's ice cream flavor. Dad Rocks! Fudge - This adorable copycat is sure to touch the hearts of dads everywhere on Father's Day. Show Dad you care by crafting this stellar confection. McDonalds Apple Pie Recipe - Flavorful apples inside a flaky crust, no frying required. Delicious Caramelized Upside Down Apple Cake - A simply delicious upside down apple cake recipe, topped with caramel and filled with quince jam and nuts for added tastiness! 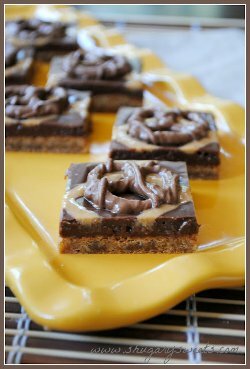 Rowdy Redneck Brownie Recipe - If your man finds himself frequently craving peanut butter and chocolate, then this brownies recipe is for him. Big Eighties Chocolate Chip Cookie Cake - Help him relive the "rad" days of his youth with this cookie cake recipe he'll be talking about for decades to come. What special recipe will you make for Dad? Be sure to let us know in the comments.